PICTURE this. A new order for delivery arrives at your warehouse. An order from the customer service department goes to the sales department and from there to the warehouse manager. The warehouse manager assigns someone to proceed with the order. The goods go from the area zone and the shelf, to the pack station, then to the loading area and ultimately to the customer’s doorstep (be it retailer, wholesaler or the final consumer). Such operations — as simple or as frequent as they are — have a critical impact on the company’s buying and selling experience but, most importantly, they have a significant impact on your customers’ anticipated service, which will lead to their delight and, ultimately, to their loyalty. As a result, even the operation within the warehousing environment should be viewed as an indispensable function of extended customer services. Here are four essential tips of how improved warehouse services could assist warehouse personnel in their endeavour of achieving better customer services and contributing to their company’s optimised performance. The warehouse manager or the storekeeper can follow up and provide necessary information on a customer’s order. This simple measure can be accomplished by sending an e-mail or by making a phone call or by sending an SMS, supported by a little “Thank you for your order” note. For example, your message can say: “Mr James, your order has been dispatched; you should expect delivery at your store within the next 30 minutes.” It certainly goes beyond the ordinary approach and “Mr James” will be pleased to receive such personalised service. This gesture will add tremendous value to your customer’s or distributor’s relationship with the company and most likely it will not cost you anything. Some warehouse departments may feel that they have accomplished their aim, since the customer has already made the purchase. Yes, but this is not enough nowadays. Go the extra mile — and delight your customer. Thank him by including a discount coupon for his next order, or include your latest catalogue or your promotional flier/leaflet, which will enable him to get a clearer insight of your product portfolio. You may entice him to give you another order sooner than later. Always provide simple ways for your customers to provide feedback and suggestions. Put in place easy and convenient ways for customers to connect with your company through social media, such as Facebook, LinkedIn or e-mail, phone calls and SMS. Aim for the highest customer satisfaction ratings in your dealings with them. Introduce monthly or bi-monthly customer surveys, which will provide you with the required feedback and, most importantly, with ways and means to improve your services. You may consider a token reward for those customers who frequently participate in your surveys. 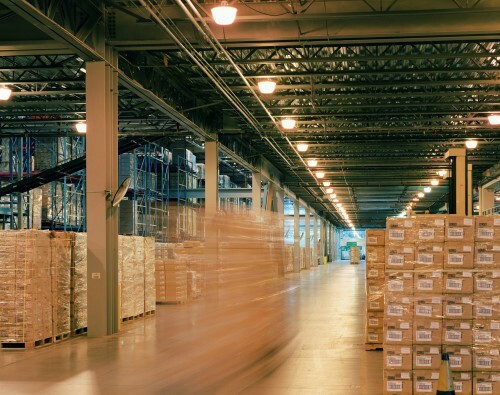 Dealing with customers over product returns is an important part of the warehousing process. It is not something that warehouse personnel look forward to, but it is vital to the business. Use this point to gather vital information that will help you to prevent future product returns. Ask your customers to give you, as clearly as possible, all their reasons for returning the product(s) and use these as a guide to improve further. In today’s business environment, to ensure that each and every customer remains “delighted” for as long as possible requires efforts not only from the sales department’s operating area, but it should also be a focal point for the total business operation. Therefore, along with other departments, warehouse operations and its service to customers could and should be an added value element in the endeavour to delight customers and ensure their much-desired loyalty.